It’s no secret that there’s a lot of emotional energy surrounding the big game this weekend. It’s no secret that there’s a lot of emotional energy surrounding the big game this weekend. Whether you side with the Eagles or the Patriots, there’s so much anticipation and hype that fans are bound to be feeling strongly – one way or the other. While it’s been said, especially in the media, that the Patriots are the “regulars” and the Eagles are the “underdogs,” we were interested in learning how their respective fan bases are truly feeling about another “W” for the “GOAT” and team. Rational measures of sentiments surrounding a hot button topic such as this won’t tell us anything we don’t already know. You want this team to win and this team to lose. Simple. 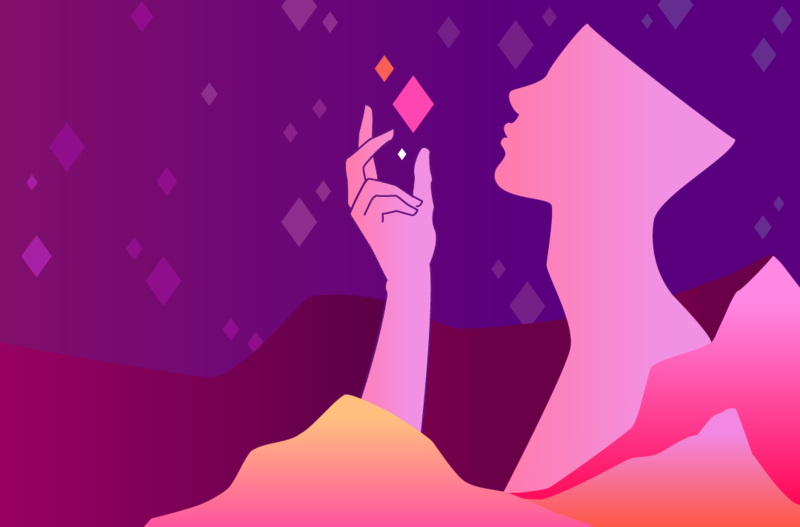 But to truly understand the nuances, and uncover the specific emotions fueling this fire, is to truly understand the consumer and, ultimately, how you can engage them. 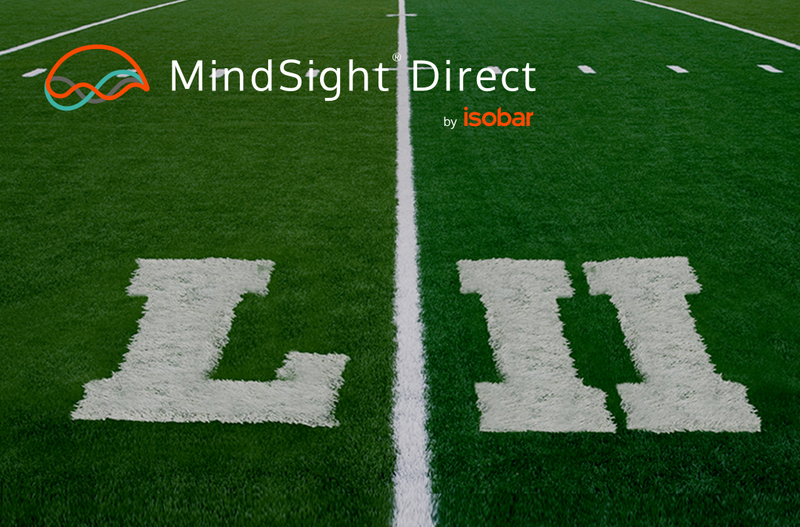 This in mind, our Isobar Marketing Intelligence practice surveyed 500 adults planning to watch Super Bowl LII using our proprietary MindSight Direct tool to uncover their emotional response. Within hours of fielding and completing the study, our research found that Pats fans are experiencing some serious victory fatigue. Though more than twice as many participants predicted a Patriots win (57% to 27%), a Patriot’s victory feels more negative for Eagles fans than it feels positive for Patriots fans – I guess that happens when your team has won five super bowls in the past two decades. Positive energy for Pat’s fans is only slightly above average (58%). Negative energy for Eagles fans is substantially stronger (70%). Victory Fatigue: The success the New England Patriots have enjoyed has blunted the emotional response to victory among their fans. Winning & Losing Are Not Mirror Opposites: Some emotions felt by the teams’ fan bases are mirror opposites – achievement vs. defeat, engagement vs. boredom. 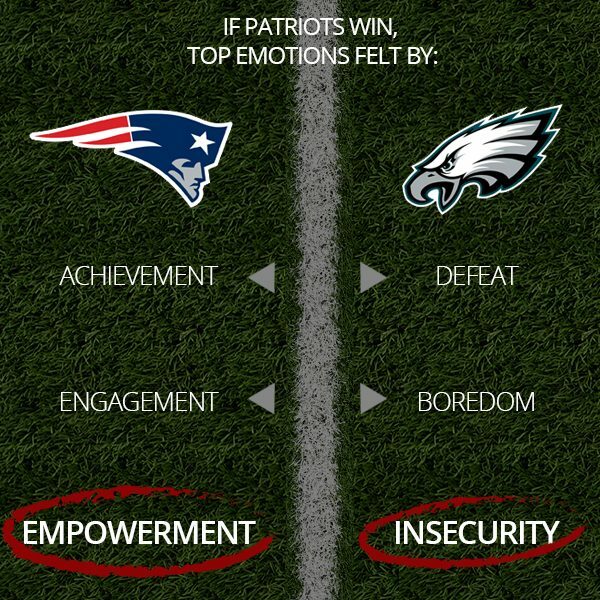 But we can also see there’s more to it than that, with distinct emotions experienced by Patriots (empowerment) and Eagles fans (insecurity). So, what can brand marketers takeaway from all of this? The lesson for marketers is that the way consumers experience brands, reflects the strength of the consumer to brand relationship and the role that brand plays in their lives. For example, brands that can deliver on a sense of empowerment (such as, Home Depot) or relieve insecurity (i.e., Allstate) can take advantage of the emotional experience that the game itself provides. Moreover, marketers running advertising during the Super Bowl should pay attention to how consumers will feel based on the game itself. Brands can tailor their communications to tap in to different emotions and that could run based on the score, relative to geography. 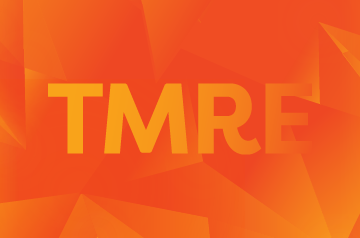 When the marketing environment itself is dynamic, marketers have to be as well. 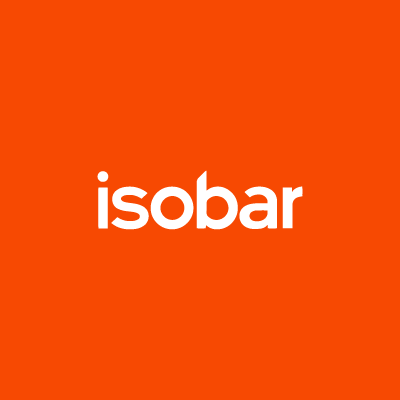 For more information on MindSight Direct, visit https://mindsight.isobar.com/.